Gone are days when creating a short film or documentary was a task of technical expertise and one should be quite a professional to deal with editing and related tasks. Now, however, after dawn of all these revolutionary technologies and their day-to-day applications, video editing has become an easy-to-accomplish task, if you know which video editors you should use. A huge number of video editing software available in industry, both free and paid, it will be probably a tough task for you to choose video editing software from the list and then to accomplish your editing task! As the best all-in-one video editor and converter tool, Pavtube Video Converter walks users through SD/HD video converting and editing process. Now this brand new video has updated to a more powerful one, new features like adding H.265/HEVC decode/encode which can provide much higher quality than H.264, videos shooting under XAVC mode can be loaded flawless, H.264 baseline/main/high profile added to consider about the compatible with old system or devices, supporting encoding to M3U8. Also those original features have been optimized, the “Settings” can adjust Bit rate, Frame rate to a higher level. All the H.264 output option in the “HD Video” convert into H.264 high profile to achieve a better quality and eliminate the trouble to set parameters by user themselves. Not all video tools like Pavtube Video Converter offer so many video editing options in this full-features and powerful video converter, It edits videos by trimming, cropping, splitting videos, add text/image watermark as copyright protection, and attach external subtitles into source media for entertainment. Supported Input Formats: AVI, MP4, MKV, FLV, WMV, MOV etc. Pavtube HD Video Converter for Mac (review) is an all-in-one video converter program that supports converting 1080p/720p HD MKV, MOV, MXF, MTS, M2TS, M2T, TS, TiVo, M4V, MP4, AVI, MPG, VOB, WMV, ASF, 3GP, FLV, F4V videos to any video formats for playing, editing, uploading or burning on Mac OS X (El Capitan is included). The Mac HD Video Converter can transcode HD footage from Sony, Canon, Nikon, Panasonic and JVC. Moreover, it’s capable of outputting videos in Apple ProRes/AIC/DNxHD/MPEG-2, etc. for NLEs like FCP, iMovie/FCE, Avid Studio, Adobe Premiere Pro, Apple Aperture 3, Kdenlive, Keynote, Avid Xpress Pro, Adobe Creative Suite 6, Adobe After Effects CS6, DaVinci Resolve, iPhoto as well as QuickTime MOV for playback on Mac. For users that like to take videos/movies with portable devices, Pavtube HD Video Converter for Mac has many built-in presets for iPhone/iPad/iPod, Apple TV; Android phone/tablet such as Samsung Galaxy Tab 3/Tab 2, Galaxy S4/S3, Nexus 10/7/4, Kindle Fire HD, HTC One, Nook HD, Nab 2; Windows 8 tablet/phone and other devices like PS4, Xbox 360, PSP, WDTV, etc. Supported Platforms: Mac OS X El Capitan, Yosemite, Mavericks and etc. Supported Input Formats: MKV, MOV, MXF, MTS, M2TS, M2T, TS, TiVo, M4V, MP4, AVI, MPG, VOB, WMV, ASF, 3GP, FLV, F4V etc. Supported Output Formats: AVI, MPG, MTS, M2TS, M2T, TS, VOB, WMV, MKV, MOV, MXF, TiVo, M4V, MP4, ASF, 3GP, FLV, F4V etc. If you are running on Windows operating system, you can refer to the equivalent version- Pavtube HD Video Converter. Pavtube Video Converter Ultimate is the best BD/DVD/Video solution for Windows users to backup BD/DVD, compress disc and transcode video clip to almost all popular video and audio formats. This Video Converter Ultimate can be regarded as BD/DVD backup workaround to copy the entire disc content from hard disc to computer drive and save a complete BD M2TS/DVD VOB movie without extras; it can also be used as a Blu-ray/DVD ripping tool to compress your Blu-ray and DVD collection to H.265/HEVC, MP4, MKV, M4V, AVI and play on iPad, iPhone, Android phones, Windows phones, game consoles, HD media players, and more. What’s more, this all-inclusive program is a HD video converter as well, and you can freely convert TiVo, MXF, MOV, and other HD videos to almost all formats. Besides, it is a professional video editing software to assist users with trimming, cropping, splitting, merging, attaching subtitles…to create your own videos. Supported Input Formats: MP4, MKV, M4V, AVI, MXF, MOV, MTS etc. Supported Output Formats: AVI, MPG, MTS, M2TS, M2T, TS, VOB, WMV, MKV, MOV, MXF, TiVo, MP4, FLV etc. Key features: all-in-one media solution, BD/DVD backup workaround, vivid 3D experience at home, professional yet friendly functional video toolbox, fully support Windows 8.1, built-in BD/DVD player, merge all files or selected files into one file at will for continuous enjoying. If you are running on Mac operating system, you can refer to the equivalent version- Pavtube iMedia Converter for Mac. Final Cut Pro is the video editing tools that has helped filmmakers to edit some of your favorite movies including The Social Network and The Girl with the Dragon Tattoo. Being a video editing software developed by Apple Inc, Final Cut Pro has a number of noticeable features such as an impressive user interface, quite useful keyboard shortcuts & lots more. So, if you afford video editing in your Mac, Final Cut Pro is the best video editor for Mac, we assure. If you want to create stunning videos without consuming that much system resources, Sony Vegas Movie Studio will, most probably, be the best tool for Windows PCs. Sony Vegas Movie Studio is actually the minimized version of Sony Vegas Pro and it is meant for passionate professionals, who would find the simple interface, variety of features along with support for additional elements such as transitions, text, video stabilization, realtime effects etc. Altogether, its features make Sony Vegas Movie Studio an all-in-one solution for professionals who do not want to spend much. Supported Input Formats: MP4, AVI, WAV, WMV, QuickTime, MPEG-4 etc. Supported Output Formats: AVI, MP4, MPEG-4, WMV, WAV etc. Related guide: How to Fix MTS to Sony Movie Studio 10/11/12/13 Incompatible Issues? We’ve seen different video editing softwares for different platforms, but Lightworks is the only video editor that does have support for Microsoft Windows, OS X and Linux. Some un-matchable features of Lightworks include dedicated & powerful support for background I/O, dedicated keyboard to enhance video editing experience, multi-cam editing as well as an impressive set of realtime effects that will come in handy when it comes to professional video editing. The list of features also includes dedicated web export option, background export, import and rendering etc. Sony Vegas Pro can be called the BIG BROTHER of Sony Vegas Movie Studio, as it offers enhanced features and it will need you to pay more. Sony Vegas Pro brings a number of intuitive yet productive features such as powerful effects, support for iOS devices through corresponding application, stereoscopic 3D editing, enhanced audio control, support for 4K video, multi-track audio environment, impressive media management, DVD Layout and Design along with one option to preview what you have done. Of course, Sony Vegas Pro will be the best video editing software for those professionals who are ready to pay. Cinelerra is a video editing tool that lets Linux users edit videos in an intuitive manner that no previous experience is required. Written in C++, Cinelerra offers powerful features that are quite simplified by means of the simple UI it has. You can download Cinelerra for almost every Linux distribution and the tool will be quite useful, we bet. UI Cinelerra has three sections that help editors do their job neatly — Timeline, Viewer, Resource Window and Compositor. Pinnacle Studio is a widely used video editor available for Windows devices and it is a scaled-down version of a fully-fledged video editor from same developer. Through a number of impressive features, such as drag and drop editing of HD video, timeline-based editing up to 6 tracks, DVD authoring, title and overlay creation, free training, ability for adding sounds and music, collection of royalty-free tracks, a huge collection of transitions & effects, Pinnacle Studio has ensured top position when someone is looking for an effective video editing software for Windows. Corel VideoStudio comes from the same family of CorelDraw, the popular graphics suite. Powered by 64-bit power, Corel VideoStudio is something great, as the tool makes creative video editing a simple task for everyone. Also, when you purchase the ultimate version, you can get features such as variable speed in video editing, easier ways to create overlays and titles, multi-monitor support, DSLR enlarged mode, stop-motion animation etc. Here comes iMovie, yet another popular and immensely used video editor for Macintosh devices, which comes from Apple Inc. Being a tool from Apple Inc, iMovie can help you deal with video editing even while you are using an iOS-based device — let that be your iPhone, iPod or iPad. Although iMovie has a tremendous number of features, some of those include truly impressive collection of transitions, drag-based interface, iMovie Theatre that lets you watch movies from your Apple TV, ability to fine tune clips etc. Key Features: NDE, HD Support, 2 video tracks and 4 audio tracks, linear timecode display and storyboard mode. Related guide: iMovie Won’t Import MP4 Files? Solved! Adobe Premier Pro is an immensely-popular, timeline-based video editor that is available for Windows and Mac. In a condition that you are ready to spend, Adobe Premier Pro will be an awesome video editing tool, particularly when we consider features such as Integration with After Effects and Photoshop, top-notch video masking features, superb transitions etc. Key Features: HD Support, Multi Track editing, storyboard mode, unlimited audio and video tracks, linear timecode display and NDE. PowerDirector from CyberLink is a consumer-focused software for video editing, and it comes with a simple UI that is capable of allowing any user get accustomed with the tool in seconds. From Professional looking animations as well as slideshows to stunning videos, CyberLink PowerDirector has an option for you; you can keep editing even when you are away from PC because CyberLink has published Smartphone applications for this tool. Apart from a number of transitions that are built it, you can get more from DirectorZone as well. Supported Output Formats: MVC, MPEG-4, MKV, WMV, QuickTime etc. Key Features: High Definition support, NDE, 100 audio and video tracks, linear timecode display and storyboard mode. Kdenlive, built on MLT Framework, is a great solution when you are looking for an open-source video editing software that makes sense. Available for Linux, FreeBSD and Mac OS X, Kdenlive offers impressive features that are impressive when it comes to preparing stunning video results. Some other features of Kdenlive include rendering that you can pause according to your need, ability to apply special transition effects, multi-track editing feature etc. Key Features: HD Support, storyboard mode, 2 video tracks and 4 audio tracks, linear timecode display, NDE. Although simple, Windows Movie Maker can come in handy if you want to create videos without using that much of system resources. Through its ultra-simple User Interface, Windows Movie Maker will help you add transitions, set up tracks and export the video into a Windows-compatible media format — things are simple enough, we hope. 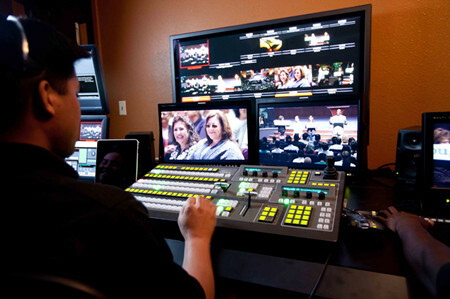 Key Features: HD Support, Storyboard Mode, 1 video track and 2 audio tracks, linear timecode display. Conclusion: We have finished the list of top best video editing software in 2015, free and paid are both included. Now, you would be pretty much sure about which one to take, right? Enjoy!